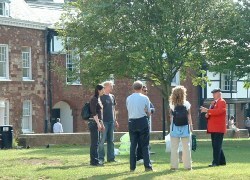 Prior to the creation of the Exeter Directory, we used to keep this page for any quality reciprocal information web sites that linked to ExeterViews.co.uk. The page is now used to randomly show a small collection of entries from the directory's listings. 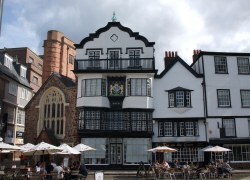 The directory provides a connection to all things local for the resident or visitor to Exeter. These are not listed as editor recommendations. They have been randomly selected from the wide choice available. An independent recruitment consultancy with an office in Exeter covering the areas of Devon, Somerset and Cornwall. Hand crafted contemporary furniture, interiors & gifts sourced in Asia. Shop located in Gandy Street. Active community centre in the heart of Exeter, offering a diverse selection of activities and courses, including languages, multicultural and family projects, health and well-being courses and leisure courses. Exeter accountants providing accounting, bookkeeping and taxation services in Exeter, Devon. 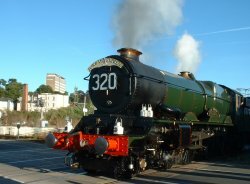 Guide to some of the tourist & visitor attractions that are available within the South West of England UK including Exeter. Guide to Places to see and visit, attractions, events going on and places to stay. Hundreds of Devon towns, villages and areas within the County of Devon.